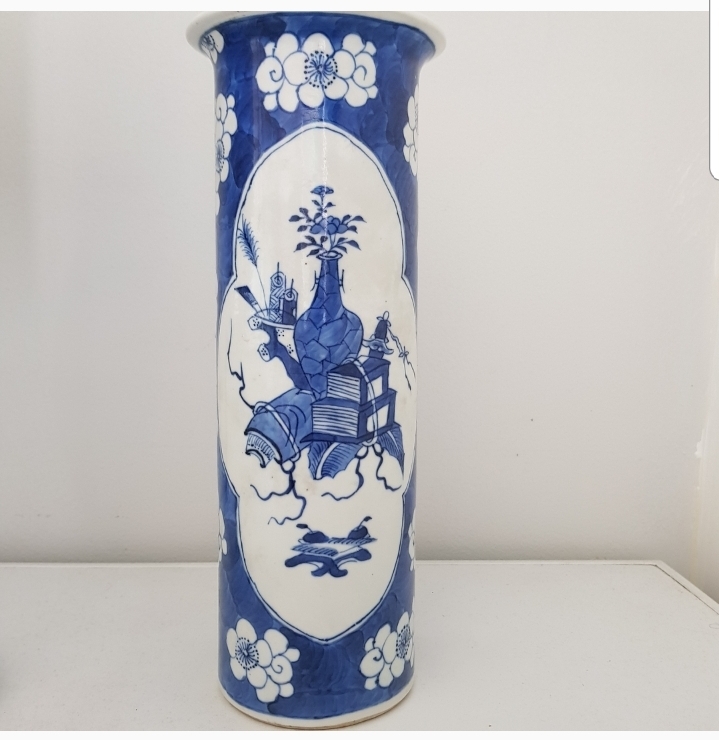 Hi have an old Chinese blue and white vase that was passed down to me from my late grandmother. I have no idea of the history and have found it difficult understanding the markings - it is a bit of a minefield although some markings do look similar to some i have seen. 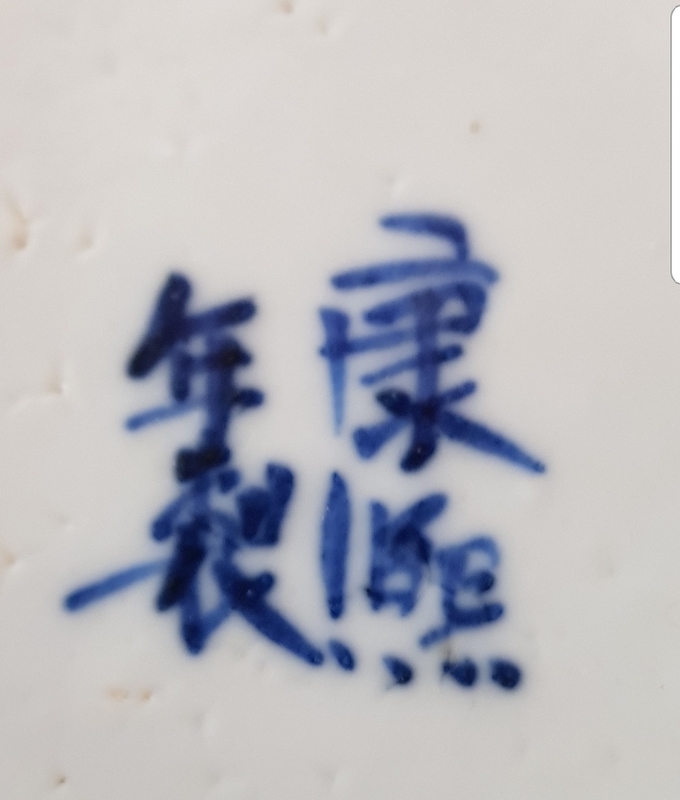 Hi, you vase has the mark saying "Kangxi nian zhi" which roughly translates to 'made in the Kangxi period' (1662-1722), however this mark did not appear on genuine articles leading me to believe that your vase was likely made in the late 19th century when there was a revival for such styles. Hello, the mark is for Kangxi But the vase is from the republic Period. Late 1940’s. While that says "made in a year of the Kang Xi emperor", the vase is later. I believe in a style called the KangXi revival.